Photographs taken by, and copyright of, the Author. 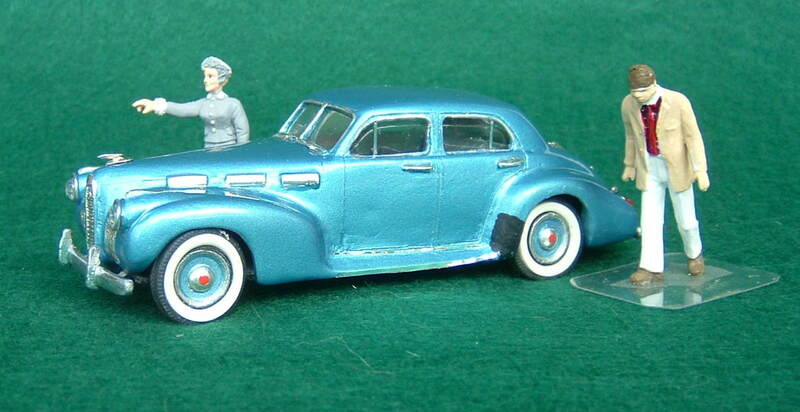 A number of years ago Mikansue produced a range of white metal kits of American cars under their Americana label. I was recently able to obtain one of these on eBay and set about building it. La Salle was made for a number of years in the 1930s as a sort of entry level Cadillac. Their last year of production was 1940 and they produced two series in that year the Series 50 and 52. 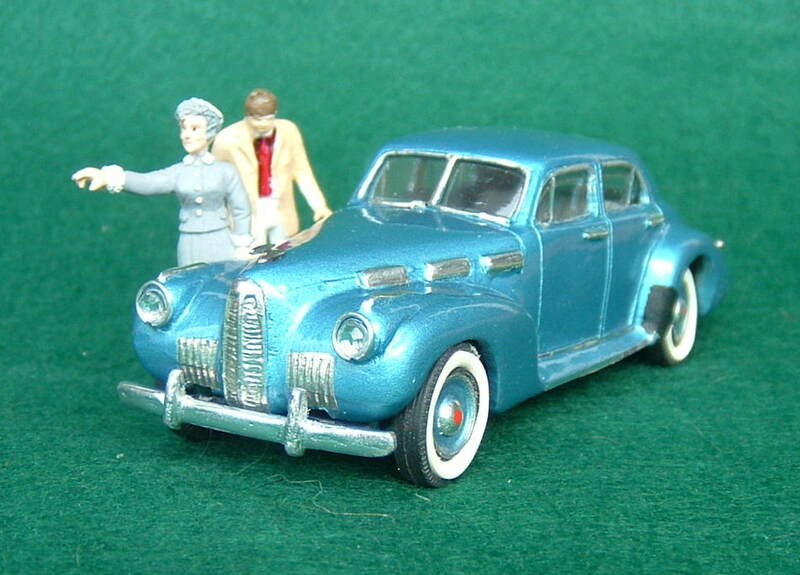 This model is of a four door sedan Series 52. They used a side valve V8 engine of somewhat lesser displacement than the same year Cadillacs. This kit contains a body, base plate with bumpers, wheels, vacuform windows, and a seat insert and fascia. My example which was likely typical of these early white metal kit efforts was not a perfect casting and took a fair amount of finishing work to improve it for paint and assembly. These were sort of cottage industry kits so some modelling skills are needed to produce a nice end result. I also opted to make some changes now that really great photos are easily available of the actual cars on Google images. These were certainly not an option for the maker of the kit back in the early 1980s in distant England where viewing an actual La Salle was highly unlikely. I relocated and re-scored the boot opening grooves, changed the location of the tail lamps, created a new fascia, and used some Brooklin whitewall tires instead of the hard plastic black wall tires that came in the kit. I also was able to obtain some parts from a 1939 La Salle such as the boot hinges, boot handle and badge and license plate, plus the bonnet ornament all of which enhanced the end result. After much sanding and smoothing both outside and inside I primed the model and the sprayed it with a medium metallic blue colour which was close to a factory colour in that year. In fact when I was a small boy a neighbour had this exact four door sedan in this colour. The front grille is a bit off, being that it should be of equal width top to bottom but I saw no easy way to alter that. I added a robe cord to the back of the front seat and door and window interior handles although they are barely visible. I also upgraded the headlamps with small clear jewels and encircled them with chrome rings made from stainless wire. Getting the ride height correct took a bit of extra work as well. 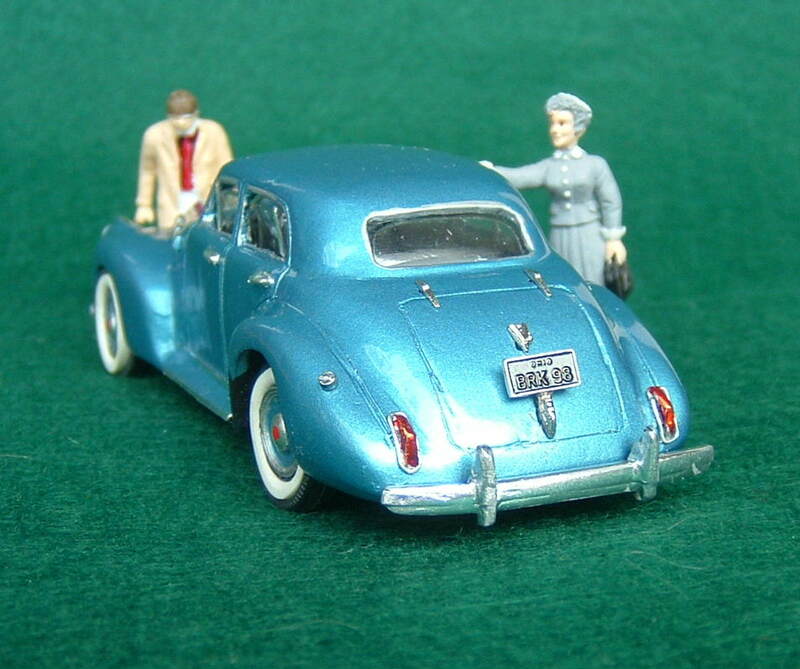 I think the end result turned out well and this is a car that no other model maker produces to my knowledge, though Brooklin did produce a somewhat similar 1938 Cadillac 60 Special sedan and phaeton. 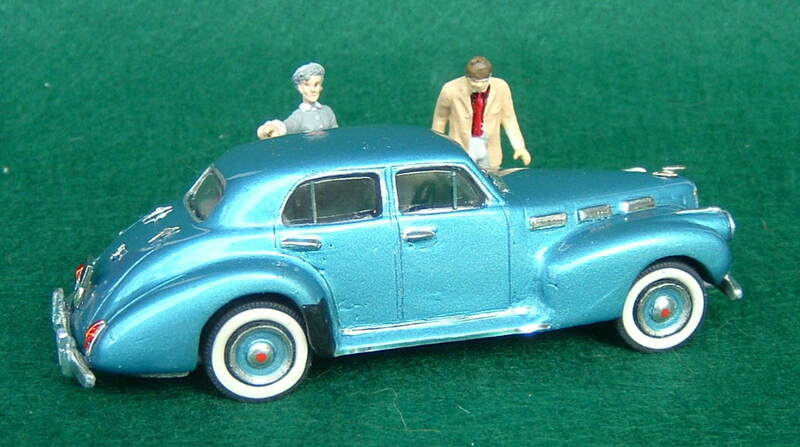 From my collection I note that Mikansue’s Americana series also included a 1951 Henry J and a 1937 Cord Beverly sedan. I’m sure there were others as well.